Type 2 diabetes (T2D) in youth has increased as a result of the obesity epidemic. Diabetes prevention programming is needed for youth, at risk for T2D, and their families. However, there is a lack of diabetes prevention services for this population. There is evidence for the benefit of lifestyle modification for decreasing diabetes risk, however there are barriers for youth to access these services in a traditional clinical setting. Our Youth Diabetes Prevention Clinic (YDPC) created partnerships within the community to increase access to diabetes prevention services for at risk youth. YDPC personnel approached community organizations who had the expertise and capacity to partner in needed areas. These partnerships allowed for the development and facilitation of a community-based diabetes prevention group. Youth and their families participated in a 12 week diabetes prevention group. We measured attendance and participant satisfaction with the program. Families attended an average of 5.1 sessions from January to October 2016. Participant satisfaction was collected five times. Physical activity was rated as “awesome” or “good” by 88% of the respondents. The nutrition activities were rated as “awesome” or “good” by 97% of respondents. Physicians and families express a desire for diabetes prevention services, however barriers make it difficult for families to fully participate. Creating partnerships within the community allows for increased access to diabetes prevention services for high-risk, underserved families. Julie Pike developed curriculum, facilitated the group sessions and drafted the manuscript. Lisa Smith and Kathryn Haberlin made substantial contributions to the manuscript. Katie Haberlin developed curriculum and facilitated group sessions. Dr. Tamara Hannon revised the manuscript and gave final approval. This study was funded by Indiana School of Medicine and Indiana University Health. This study was approved by the Indiana University Review Board. Informed consent was not obtained from the participants and their legal guardians for the following reasons: (1) the Indiana University IRB deemed the collection of program satisfaction and attendance as part of routine quality improvement measures rather than research, (2) the group was conducted in a commonly accepted education setting involving normal nutrition and physical activity education practices, and (3) participation in the group did not put participants at a greater than minimal risk. Amundson, H. A., Butcher, M. K., & Gohdes, D., et al. (2009). 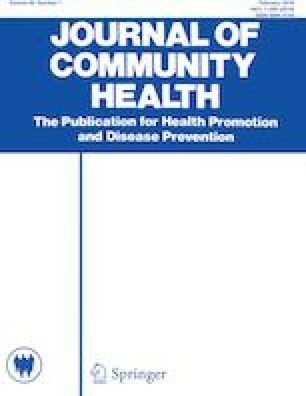 Translating the diabetes prevention program into practice in the general community: Findings from the Montana Cardiovascular Disease and Diabetes Prevention Program. Diabetes Educator, 35(2), 209–210, 213–214, 216–220 passim. https://doi.org/10.1177/0145721709333269.